Eleanor of Aragon (Spanish: Leonor) (2 February 1426 – 12 February 1479), Regent (1455–1479) and the queen regnant of Navarre in 1479. 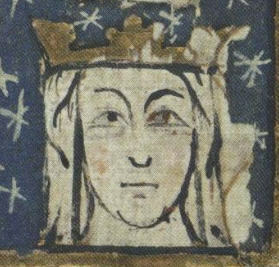 She was crowned on 28 January 1479 in Tudela. Henry of Castile (March 1230 – 8 August 1303), called the Senator (el Senador), was a Castilian infante, the fourth son of Ferdinand III of Castile by his first wife, Beatrice of Swabia. 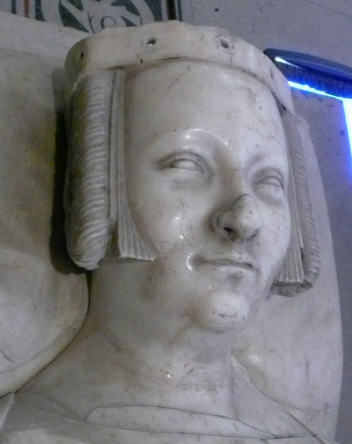 Blanche II of Navarre (9 June 1424 – 2 December 1464), titular queen of Navarre, was the daughter of John II of Aragon and Blanche I of Navarre. She was also Princess of Asturias by marriage.